As Lake County's 2008 #1 Top new Realtor, Michael is an experienced Foreclosure & Short-Sale Specialist and real estate marketing professional with over 20 years of business and consulting experience. He's been a Lake County Real Estate investor and developer for a decade and knows the market well. Michael can find you the best deals in the market or sell your property for top of the market pricing. He will provide you with the most up-to-date information and insight into the local real estate market, and help you make the most informed buying or selling decisions. Whether you're interested in selling your property for top dollar in today’s market, or searching for the ideal property at the lowest possible price, Michael can help! In 2011 Michael was the #4 Realtor in Lake County for sales to all buyers, and in 2012 was #8. Feel free to contact him for a no-obligation, confidential conversation. You'll find him approachable, friendly, knowledgable and professional. Call his direct line at (707) 928-1995 or email Michael@teamtoye.com. Michael understands Lake County Real Estate. He’s invested in, and developed numerous properties throughout the County over the years, and as such, has developed an in-depth knowledge of current property values and the local real estate market as a whole. Michael is also a foreclosure and short-sale specialist, is knowledge in creative financing/no money down and “OPM” techniques, and has more than 20 years of experience as a consummate marketing and business professional. Michael created and established one North America’s leading national real estate marketing and advertising service providers, whose national clients include Coldwell Banker, Prudential Real Estate Remax, and Century 21, just to name a few. Many years ago, he established a business relationship with Realtor, Timothy Toye, who acted as Michael’s broker on many of Michael’s purchase and sale real estate transactions over the years. Their business dealings turned into a friendship, and subsequently a successful real estate broker/agent relationship. 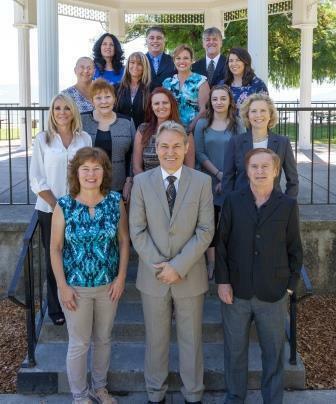 If you’re in the market to buy or sell a property, or maybe looking for a hot foreclosure or short-sale property and/or want to consider investing in property in Lake County, feel free to call Michael on his direct line at (707) 928-1995 or email him at Michael@teamtoye.com for a completely confidential, no-obligation conversation. You’ll find him approachable, sincere, friendly and very trustable. I am writing this to tell you that we are so please with Michael Fern's expertise in handling our real estate needs in purchasing our new home here in Clearlake. We lived in Texas and for over a year he kept in touch with us and sent us listings that he thought would be of interest to us. We found one we thought we would love to purchase and he put an offer in for us and we flew out to see the property. Michael was there with his knowledge and expertise and we decided that one was not for us. He didn't stop there and for 3 days he took us from all the ins and outs that we weren't aware of to keep us legally protected. He really watched our back for us. The girls in the office at Timothy Toye were a big help too. Our new home purchase went so smoothly even though we were in Texas. We have since purchased another property and couldn't have done it without Michael. He has become our dear trusted friend and we would recommend him and Timothy Toye & Associates to anyone who might be interested in selling or buying any kind of real estate. You guys are #1 in our books! Michael really listens - extremely well. He was able to find me a home at the price i could afford and the area I wanted to live in. If you are looking to buy in Lake County, Michael is the best realtor. He responds to all my emails and questions. I ended up being able to trust him completely. "As usual Michael did a fantastic job!! Considering the challenge of working around all the fires, he deserves EXTRA credit for a job well done." "You all were the BOMB! Special shout out to Shevaun. Considering our time constraints, etc." "I must say i'm happy to see that Michael Fern did get an assistant - he really needed it!" "Michael was incredible. He went way beyond the requirements to get the job done. He comforted us when things went sideways, and got things back on track." Thank you for all your help with making this happen. We are very happy with the outcome and the great service we rec'd. I absolutely will recommend your name to friends and family. You were a joy to work with." "Michael, thank you for finding my new home. It fits exactly the requirements I had mentioned to you. Your help in finding what I wanted, knowledge of the local market and assistance establishing a reasonable offer which I could afford and would be acceptable to the seller was key to the sale. Michael, you went beyond my expectations ! Your low key, no pressure approach, attention to detail and your obvious desire to help your customer makes it a pleasure to work with. You are not only an Agent but now a friend." "Many thanks for all your help in our quest to find our new home. You took the time and put forth the effort to find the ideal place to live here in “God's Country”, Lake County. We look forward to dealing with you in the future and now consider you to be a good friend! " "I'm definitely a happy customer. Thank you for everything. This really has been a fun process. I can't wait to buy another house with you in a few years! " and made me realize what's possible. Thank you so much." You are the master of turnaround! Real Estate sales maven and rock and roll star! Very impressive my friend! Thanks for everything.
" We are first time home buyers in a complicated real estate market. Michael Fern was patient, professional and hand-held us through a complicated and emotional process. He also had to weave between my wife and I who had somewhat different ideas of what we wanted!Bottom line ... we found our "dream house", got a great price for it and that would not have happened without Michael's extended efforts and professional help!" "After a day of looking at great deals that required extensive renovation, I gave Michael feedback that we needed a new house to retire in and that was all one level..no stairs, short driveway but beautiful view. The very NEXT DAY Michael showed us our dream house that was a short sale and met all the above criteria and more...we love it. We felt Michael was there for us every step of the way. Thank you!"